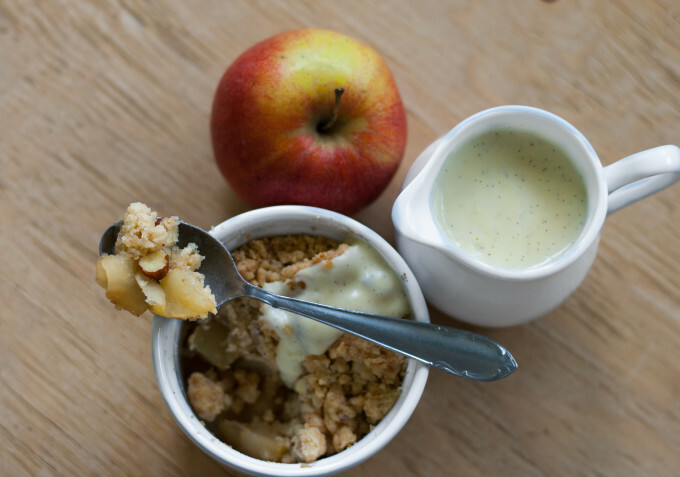 Who wouldn’t love crumble? It’s so easy but delicious dessert. Apples are actually not one of my favourite fruit. For a snack I prefer mango, berries, even pear. But when it comes to baking, almost nothing can beat apples. Pies, tarts, tartlets, cakes, even spicy cooked apples are great stuff (I’ll add this recipe later). 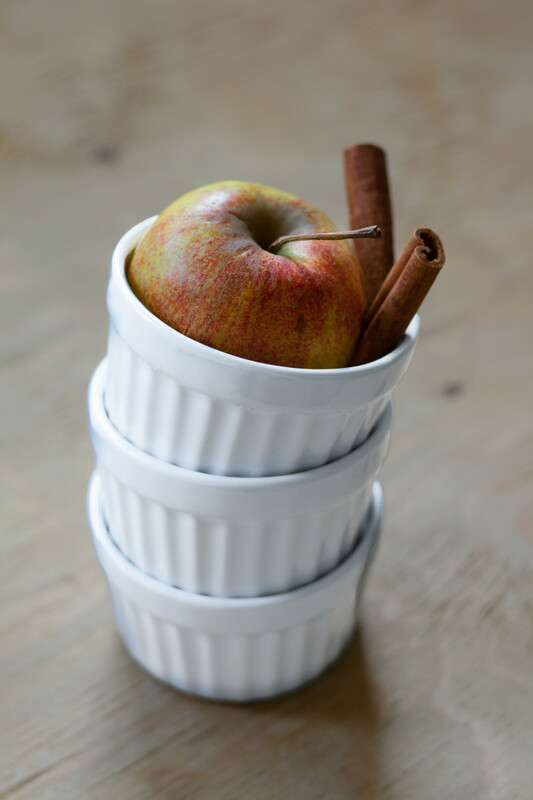 And so many flavours are going well with apples: cinnamon, vanilla, cardamom, anise, chocolate, whipped cream, lemon, … Baked apples are just yummy. Go for them. This vanilla custard can be eaten with anything. 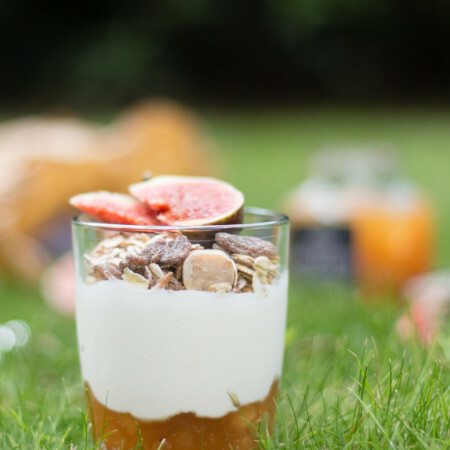 A crumble, some fresh fruit, cookies, or just like that. Vanilla pod is way better than extract but if you don’t have one, don’t worry and make it anyway. Preheat the oven for 180 °C. Mix the flour, sugar, almonds, cinnamon, and salt. Add chopped butter and make a crumb. Chop apples into small cubes. 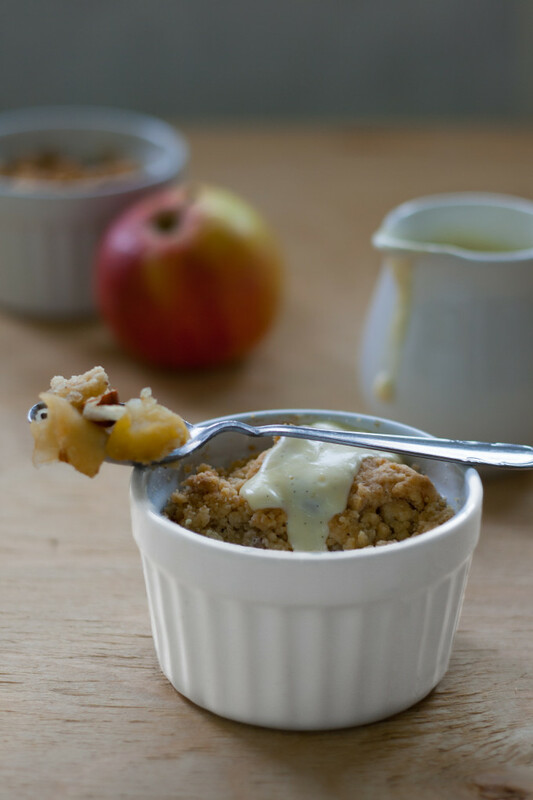 Divide apples among six small ramekins, sprinkle with the crumb. 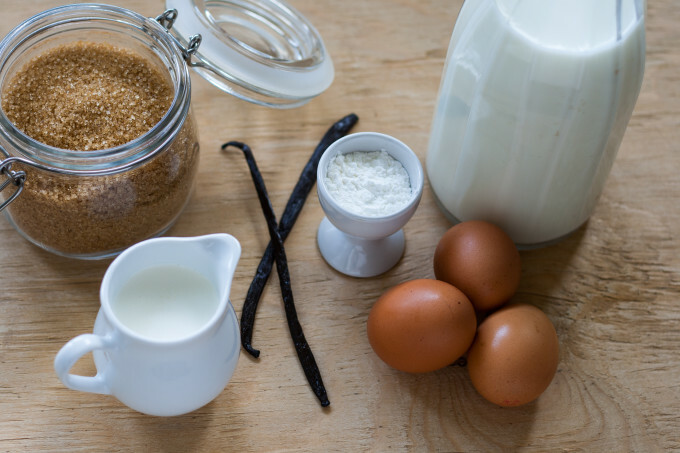 Meanwhile make the custard: Heat the milk, cream and vanilla pod in a saucepan until it comes just up to the boil. Then take off immediately. Mix sugar, egg yolks and cornstarch - make a smooth paste. Pour the hot milk into the yolk paste and beat well. Return the mixture on a low heat, stirring until thick. This crumble looks amazing!! Pinned and bookmarked!